A Study Conference on "Geosphere-Biosphere Interactions and Climate" was held at the Pontifical Academy of Sciences, 9-13 November 1998. The purpose of the Study Conference was to examine the role of the biogeochemical cycles and climate, to identify the key scientific issues in this field of research, arid to outline a long-term scientific strategy. Biogeochemical cycles play a key role in the way the Earth's climate both influences anil is influenced by interactions with the geosphere and the biosphere. It is probably no overstatement to say that the elucidation of the biogeochemical cycles in Nature constitutes one of the greatest scientific challenges of our time. The greenhouse gases —carbon dioxide, methane, nitrous oxide, and so on - together with aerosol panicles, albeit in tiny concentrations, play a crucial role in determining the Earth's climate. Their concentrations are determined by physical, chemical, and biological processes in the terrestrial and oceanic biospheres and in the ocean as well as by chemical interactions within the atmosphere itself. Thus, to discover how atmospheric trace gas composition is regulated requires an understanding of the complex interactive system that sustains life on Earth, in the face of variations imposed both externally (e.g., orbital variations and changes in the solar irradiation) and by human activities, such as fossil fuel burning, deforestation, and agricultural practices. Research during recent decades has shown that the climate of the Earth, interacting with chemical processes occurring within the atmosphere and the biosphere, constitutes a complex interwoven and integrated system, A change within some part of such a system may affect the system as a whole in such a way that the initial disturbance is amplified through the action of various feedback processes. For example, changes in the concentration of greenhouse gases in the atmosphere together with various geophysical factors have influenced the transition from glacial to interglacial periods, in turn leading to large-scale changes in vegetation and associated effects on biological processes. Today, these natural processes are further influenced by anthropogenic effects, which have now reached such magnitude that some of the natural biogeochemical cycles are playing a subordinate role. The greenhouse gas concentration in the atmosphere has now reached a level that probably is the highest during the past one million years, and it is increasing several hundred times faster than it did due to natural processes in the past. Among the topics that were discussed at the Study Conference, the first was the anthropogenic issue. What has become apparent during the past two to three decades is the substantial anthropogenic effect on the chemical composition of the atmosphere. Only during the past 30 years has the climate forcing from the greenhouse gases increased totally by some 25%; only half is coming from carbon dioxide, and the rest from methane, nitrous oxide, and the chlorofluorocarbons (CFCs)* Under certain low-temperature conditions the CFCs have the additional property of destroying stratospheric ozone, which is dramatically demonstrated every spring over Antarctica. Whether this may take place more generally also over the Northern Hemisphere is a matter of great concern, in particular because there are distinct indications that the temperature in the stratosphere is decreasing, based on satellite data for the past 20 years, by some 0.5 "C/decade. Radiosonde observations from the 1950s onward suggest that the fall in stratospheric temperature has gone on for an even longer time, but observations may be open to criticism. If we look upon some of the other more chemically active gases with much shorter residence time in the atmosphere, such as NOx and SO^, we note that the anthropogenic emission of these gases is already higher than the natural emission, with increasing tendency in particular in the developing countries, in addition to influencing the radiative balance of the atmosphere and thus the climate, these gases are also influencing the biosphere and hence are affecting the Earth's system as a whole. The climate system is highly complex and regulated by series of interwoven feedback processes. It is incompletely known because of the lack of relevant data, and many important processes are not yet well understood. This means that anthropogenic influences on climate can never be exactly predicted, and humankind must be prepared for unexpected events. Professor Paul Crutzen's account of the ozone hole in Chapter 1 of this book is an example of such an event. A second important topic that was discussed at the Study Conference was the modeling of the EartlTs system. Modeling of the climate system, including the climate of the past, has made great strides in recent years, and major efforts are going on both to improve individual components of the system - atmosphere, ocean, land surfaces, and so on - and to couple the various parts. Particularly challenging is the handling of abrupt events such as those showing up as rapid transitions between different phases of thermo-haline circulations. A third broad topic addressed during the Study Conference was to explore information from past climates and thereby obtain a more comprehensive understanding of the Earth's svstem. Reconstructions based on botanical and zoological data suggest that there have been periods when high-latitude regions were significantly warmer than they are today, with correspondingly much smaller changes in the Tropics, Certain data, although difficult to interpret, suggest that these warmer climates were associated with very high concentrations of carbon dioxide, perhaps 10 times as high as the present value. Fluctuations in the greenhouse gas concentrations during the past 200,000 years or so have been determined from isotope analyses of ice cores obtained from Greenland and Antarctica. The concentration of carbon dioxide has evidently varied from about 180 ppm during the most intensive glaciations to about 300 ppm during interglacial periods. The variation of methane has been similar No one today seriously argues -as Arrhenius originally suggested - that temporal variations in greenhouse gases arc the cause of recent glaciation cycles, which are now regarded as arising in response to external forcing caused by orbital variations. Instead the greenhouse gases act to amplify this forcing. But the response is by no means simple, and it has not yet been fully explained, for carbon dioxide and methane interact quite differently with the oceans and the biosphere. Ice core measurements from Greenland and sediment studies from the North Atlantic Ocean also indicate that abrupt climate changes have occurred on time scales ranging from decades to centuries, possibly associated with changes in the thermo-haline circulation of the North Atlantic. The extent to which variations in the large-scale atmospheric circulation in its interaction with land surface processes could have influenced such events is a matter for further investigation. The final topic of the Study Conference was to discuss an overall research strategy and ways in which the scientific community should best meet the challenge of climate change. The objectives of modern research on biogeochemical cycles and climate can be expressed in terms of a series of scientific issues, such as the following. Howr will the terrestrial COj cycle respond to changes in temperature and precipitation in different parts of the world? Where will there be positive and negative feedbacks? What effect will this have on the nitrogen cycle? Will the emission of N^O and NO increase or decrease? What are the possible anthropogenic effects? How will the ocean CO2 cycle respond to climate change? WThat are the critical processes in this respect? How can we estimate the effect of minor climatic variations due to volcanic eruptions or to El Nino events on the CO2 and CH^ variations? How w ill the biosphere, particularly in the Tropics, change due to anthropogenic and other effects, and what consequences will this have on tropospheric ozone, the natural "chemical detergent" OH in the atmosphere, and on the development and distribution of cloud condensation nuclei and hence on cloud distribution and climate? How can we explain the annual fluctuations in the atmospheric trace gas concentrations? What is the relative role of the oceans and the atmosphere in this respect? W'hat conclusions can we draw from the natural variation, prior to any anthropogenic emissions, as revealed in paleorecords? Changes in the atmospheric chemistry, according to all available information, have added an appreciable positive feedback on the orbitally driven solar insolation forcing. When it was cold, all greenhouse gases had low concentrations, and also the atmospheric loading of aerosol (soil dust) was much higher, increasing the planetary albedo. 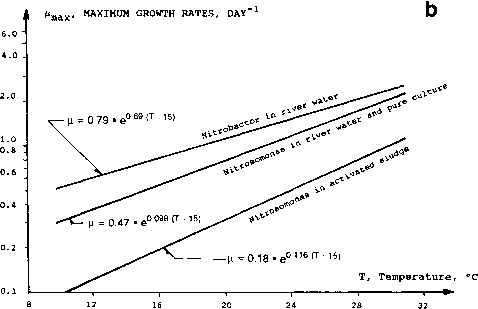 What were the mechanisms behind the changes in the atmospheric chemistry and aerosol loading, and what was the strength of this feedback? Over very long periods of time, some 1 billion to IPO million years ago, the radiation of the sun has increased by some 25%. In the same period, a notable cooling of the atmosphere and of the surface of the Earth has taken place. Is this condition due to interactions between tcctonic forces and climate whereby the concentration of carbon dioxide exercises a special control function? What is the role of the biosphere in this time perspective? Human influence on the global environment has increased considerably this century. In the early 19(M)s there were severe local environmental problems, mainly in densely populated areas, but the influence on the global environment was hardly noticeable. The situation at the end of the century has changed drastically. Anthropogenic influences on the overall composition of the atmosphere are already partly dominating natural processes. The stratospheric ozone destruction by CFCs and other artificial chemical constituents and the climate warming caused by increased greenhouse gas emission are problems that are now facing humankind. It is to be expected that the environmental problems will be more severe in the future because of the increased population and the likelihood that advanced industrialization will encompass the whole world. Environmental problems are by their nature complex, because they often include series of intricate feedback processes. They cannot therefore be predicted exactly, and major surprises in the way the environment will respond to anthropogenic and other influences must be expected. An area that requires much more scientific attention is the interaction between the biosphere, the geosphere, and the climate. That such major interactions occur is well documented from palaeorecords, w hich show that the past climate of the Earth was very different from what it is today. To address these issues a Study Conference on "Gcospherc-Biosphcre Interactions and Climate1' was organized by the Pontifical Academy of Sciences 9-13 November 1998 at the headquarters of the Academy in Vatican City. A group of some 25 scientists, experts on different aspects of these problem areas, was invited to determine the present state of our scientific know ledge and to outline a long-term strategy for future research and possible lines of action that society can take based on what we now know. The specific aim of the conference that served to guide the individual contributions is described in the Preface.